Bringing effective calendering equipment online is among the most important investments converters make in maximizing their manufacturing operations. Industrial Engraving, LLC, designs and produces a wide range of calendering equipment that meets standard as well as custom design needs. Industrial Engraving’s design team creates a variety of calendering equipment for thermobond and thermoform applications, as well as non-heated calendering applications. Advanced engineering features include hydraulic loading and mechanical roll adjustability that enables uniform contact across the roll face. 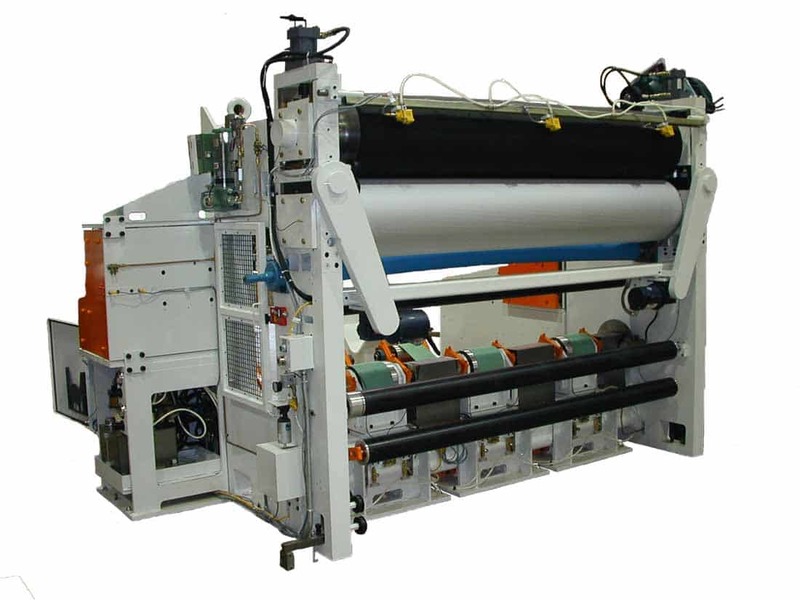 Also viewed as one of North America’s leading embossing roll manufacturers, Industrial Engraving’s experienced teams fully understand every aspect of calendering equipment operation. Services involving the development or refurbishment of embossing equipment, embossing rolls and engraving patterns are staples of Industrial Engraving’s offerings. Roll refurbishment is a cost-effective way to extend the lifespan of existing rolls. Industrial Engraving conducts roll inspection, journal repair and removal of old engraving as part of the service. 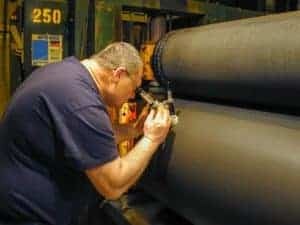 Roll fabrication and repair services encompass rolls up to 48 inches in diameter and 220 inches in length for a variety of roll types. Custom machine development involves the design and production of non-standard embossing machines to meet specific needs. 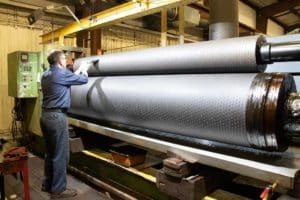 Pattern development and roll engraving have anchored Industrial Engraving’s service offerings for fifty years. Today’s pattern development capabilities meet even the most demanding requirements for substrates including paper, film, nonwovens and specialty materials. Contact Industrial Engraving to learn more about how our calendering equipment capabilities can enhance your operations.